CAN bus analyzer, simulator, sniffer - is a set of a functional hardware and software that supports R&D teams in CAN device development process. It conducts in all tasks starting from early test and simulation phases up to final product verification. Meanwhile, it can be used as a solution for reverse engineering when it`s needed to sniff a RAW data and to find a specific information in the CAN bus. How to teach hardware and software speak the same language? 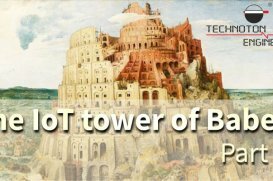 Internet connected things generate a variety of information: discrete states or continuous values of sensors, counters of physical values, textual information, settings and modes of operation, images, video and sound. 12 / 2017 Merry Christmas and a Happy New Year! 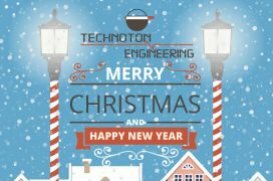 Technoton Engineering team sincerely sends greetings to You on Christmas and New Year! We hope you and all your colleagues, family, and friends have a lovely holiday season filled with joy and happiness. Best wishes for a prosperous New Year!!! 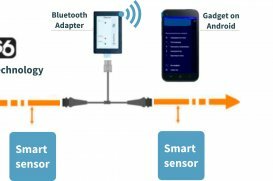 Technoton Engineering today announces the launch of the Bluetooth® Adapter, an easy to use device that allows configuring and monitoring of smart sensors in S6 telematics network. 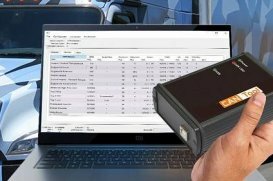 The new wireless gateway can be used with any device for vehicle telematics and industrial automation that are designed on S6 and IoT Burger.